The focus of this program is fun and friendship! 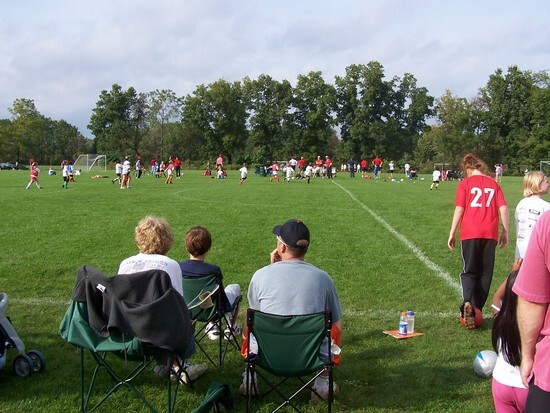 Players are grouped into teams based on age and teams enjoy practice with their coach and games September through October. Players will need shin guards, sneakers or outdoor cleats, and a ball. 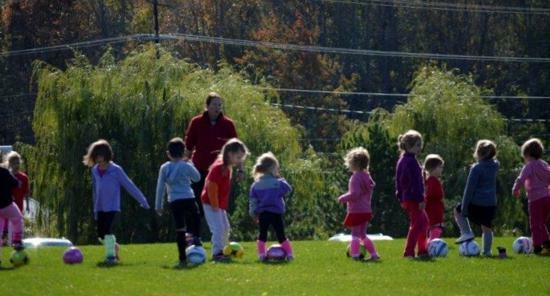 All activities (practice, training, games) occur on Saturday afternoons at Rothfuss Park. Similar to our Little Bolts winter program, our fall recreational program will focus on fun and games. This age group will learn more about soccer and will introduce players to dribbling, passing, shooting and coordination and body movement activities in a fun-filled environment. Players will need shin guards, sneakers, and a ball. What is All Girls All Soccer? All Girls, All Soccer (AGAS) is a program designed for girls in Pre-K through 6th grade interested in learning more about soccer. There are 3 age appropriate divisions, and the games are geared toward improving soccer skills while having fun with friends. Both Striker players and non-Striker players from Penfield and surrounding towns are welcome! All Girls, All Soccer is a good way to prepare for the 2018-2019 season or just to have fun! If you have questions, please contact: agas@penfieldstrikers.org. Little Bolts will meet the same time each week at 3:00 p.m.
Saturday, September 8, 15, 22, and 29th. AGAS is always looking for volunteer coaches, assistant coaches and referees! Girls entering 7th grade and up are welcome to be coaches, assistant coaches, or referees. Community service is awarded to all volunteers.